World of Warcraft’s seventh expansion debuts today. 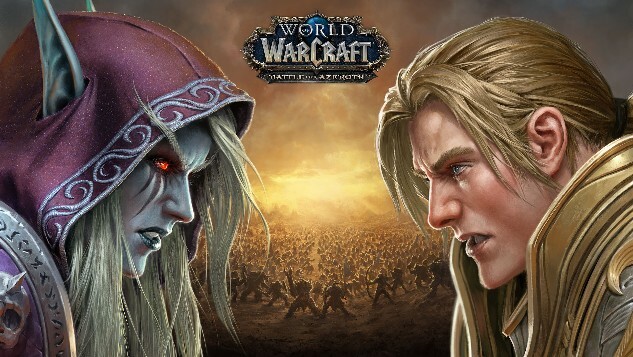 Blizzard Entertainment celebrates the arrival of the Battle for Azeroth expansion with a released statement detailing what players can expect as it goes live today. This massive narrative means big changes to the game as players will now fight on behalf of their faction. Both factions will have to travel to new lands, seeking help from other races to fight in the war. Gathering resources will also play a role in the new expansion as players head out on Island Expeditions. Add in a new level cap and there should be a lot of content for the community to dig into. Prepare to Charge the Stromgarde Warfront: Get ready to fight on the battlefields of a large-scale, 20-player cooperative Warfront to claim a key strategic location. Capture resources to build your faction’s forces, lead the charge as your troops lay siege to objectives, and fight the enemy commander to claim victory in this new mode inspired by classic Warcraft real-time strategy-game battles. The standard edition of World of Warcraft: Battle for Azeroth is available now for $49.99 both digitally and physically. Meanwhile, there is also a Digital Deluxe Edition available for $69.99 and a retail exclusive Collector’s Edition for $99.99. You can find the full details of these various editions of the game on the World of Warcraftwebsite. Watch the launch trailer for the Battle for Azeroth expansion below.